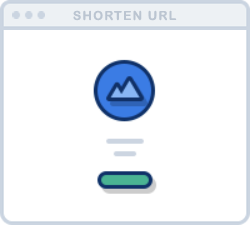 ouo.io - Earn money on shorten links. Make short links and earn the biggest money. Shorten URLs and earn big money. Get paid by every person who visits your URLs. Signup for an account in just one minute, shorten URLs and sharing your links to everywhere. And you'll be paid from any views. We are proud to have highest rates in Tier 2 & 3 country, multiple views from same viewer are also counted. Contact us at any time about anything. We make customer service a priority, you will get response within 12 hours. We are willing to handle all fees. 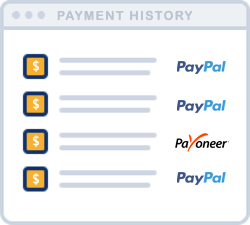 You will receive 100% income by PayPal, Payoneer or Payeer, without paying any payment gateway fees. We attaches great importance to user experience, and keep quantity of ads units less. Moreover, 93% of income is spent to pay our users. We send payment two times per month, on 1st day and 15th day. Once you reached our minimum threshold, you will receive your money on upcoming payment day. Numbers speak for themselves, check out our estimated daily numbers based on statistics of previous month. 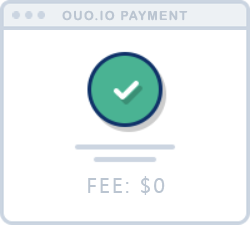 Sign up for free and become one of the millions of people around the world who have fallen in love with ouo.io. © ouo.io 2015 - 2019, All rights reserved.